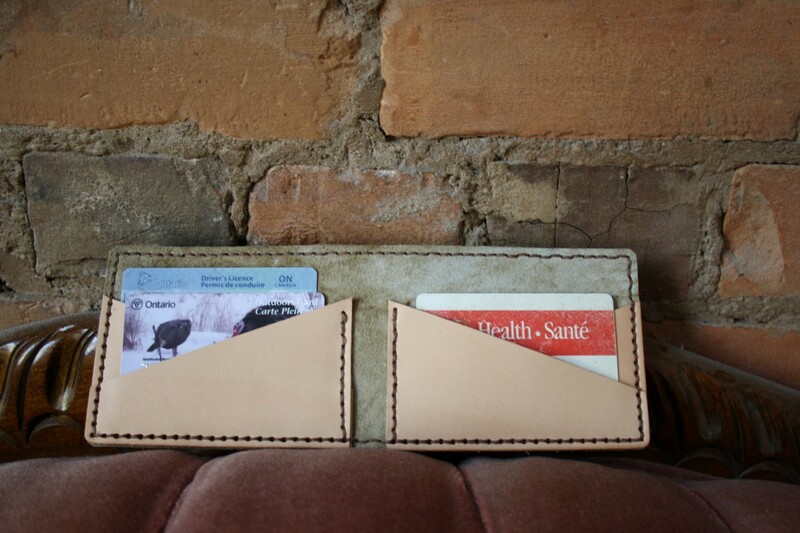 Guys asking after wallets always want the same thing – something thin. No, thinner. No, thinnest. Like a wafer. But with six or eight card slots (which always leads me to suggest the problem might not be with the wallet so much as the amount of junk in the wallet), but thin. In the past, that’s been hard to do. The inserts I usually use are pre-cut and made of many layers and kind of bulky. The inserts I occasionally use are thinner, but lower-quality leather. The other option was hand-making my own, but that seemed it might end up being prohibitively expensive from a time standpoint. Regardless, I tried it Tuesday. 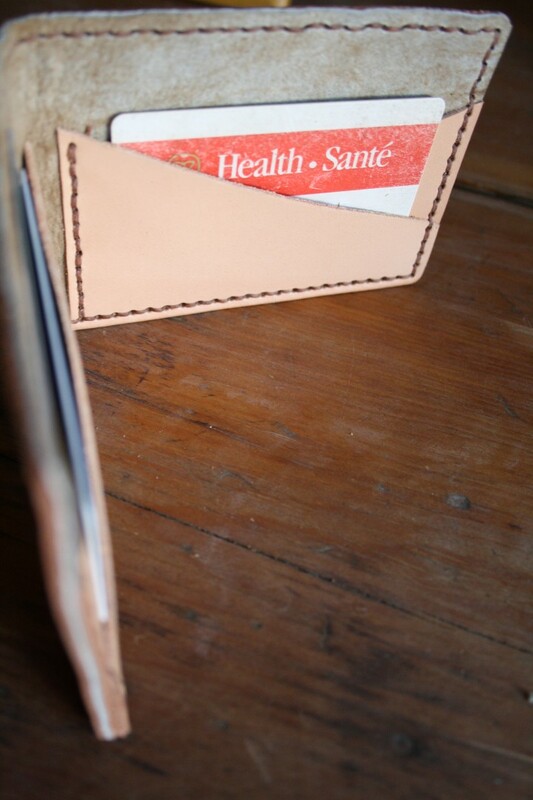 Four card slots, all criss-crossing diagonally and it’s thin enough that I think, even with a variation that includes an additional pocket in the back for bills, this could be the one. 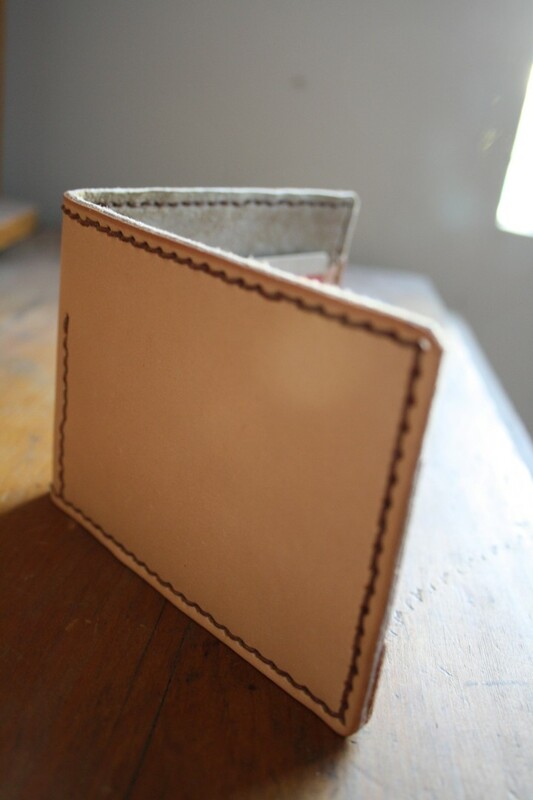 Made of natural, veg-tanned leather and hand-stitched. Lined with a super-soft suede. Plain. Utilitarian. Thin. I’ve done my part. Now it’s yours not to overstuff it, Costanza. Too bad that health card is soon to be cancelllllleeddd. NO WAY. I am not getting a new one.